The Solo 8B is an 8kw multifuel boiler stove made from new mineral cast iron, suitable for solid fuel and seasoned wood. 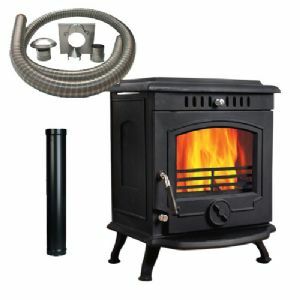 This is the perfect stove for those of you who want hot water supply and 3-4 small radiators. Perfect for most small homes.